A window replacement project is an opportunity to choose window styles that are best suited to each room in your home. In this blog, V. Nanfito Roofing & Siding, Inc. shares the window styles that are perfect for bedrooms. Double-hung windows are ideal for small bedrooms, as they have two openings: one at the top that works as the exhaust vent to release stale indoor air and one at the bottom that works as the intake vent to admit fresh outdoor air inside. One double-hung window is enough to create continuous airflow that helps maintain indoor air quality. Casement windows are hinged windows that allow full use of the window area, which makes them ideal for maximum ventilation, views and natural lighting. Unlike most replacement windows that feature sliding or weighted sashes, casement windows have sashes that press against the frames that create a tight seal. This makes casement windows the most energy-efficient operable window style. When installed in bedrooms, casement windows allow maximum ventilation and can even catch a breeze if the wind direction is right. If your bedroom design calls for something unique, consider special or irregular windows. These custom window shapes create a visual focus and allow lots of natural light into the room. Special and irregular window shapes are typically fixed windows. What they lack for ventilation, they make up for in natural lighting, energy efficiency and—of course—aesthetics. Looking for window companies that provide beautiful, durable and energy-efficient replacement windows? 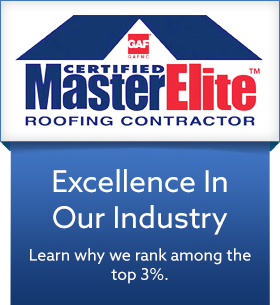 V. Nanfito Roofing & Siding, Inc. is your provider of quality home improvement services. Give us a call at (203) 639-1634 or fill out our contact form.